By engaging with a wide range of donors, the EBRD gains vital strategic and financial support to advance its transition mandate and improve the lives of people in the countries where it works. In 2013 bilateral donors and multilateral funds provided almost €349 million in financing for technical cooperation, grant investments, risk-sharing facilities, performance fees and concessional financing. This helped to extend the range and depth of the Bank’s investments supporting the development of market-based institutions, skills and behaviour. Australia joined the EBRD donor community in 2012. It supports the Bank’s engagement in the southern and eastern Mediterranean (SEMED) region through the SEMED Multi-Donor Account. In 2013 Austria established a fund with an initial contribution of €2 million to support the EBRD’s Sustainable Resources Initiative (SRI). It also replenished the Fund for Regional Energy Efficiency in the early transition countries (ETCs) with €2 million, and extended its longstanding support for the municipal sector through core infrastructure investments and private sector development. A further €2 million was directed to the Technical Assistance Cooperation Fund, which is used to finance infrastructure and energy efficiency projects across the EBRD region. The Central European Initiative (CEI) is a regional forum which promotes cooperation among 18 countries in central and eastern Europe. The CEI Fund, which was established in 1992 and has been entirely financed by Italy (with €38.5 million to date), supports transition countries in the process of EU integration. In 2013 the Fund committed approximately €900,000 for six TC assignments in these countries, mainly in the infrastructure and sustainable energy sectors (the transport sector having been the main beneficiary since the Fund’s inception). In addition, by supporting the Green Energy Special Fund and several frameworks under the Energy Audit Programme of the Bank’s Sustainable Energy Initiative (SEI), the CEI Fund is committed to promoting best practice in energy efficiency and sustainability, particularly in the Western Balkans, and enhancing related EBRD investments. The Fund’s contribution has been essential in shaping the structure of the SEI. In 2013 the Fund was replenished with €2 million. The Climate Investment Funds (CIFs) are financing instruments, channelled through multilateral development banks and designed to pilot low-carbon emissions and climate-resilient development. 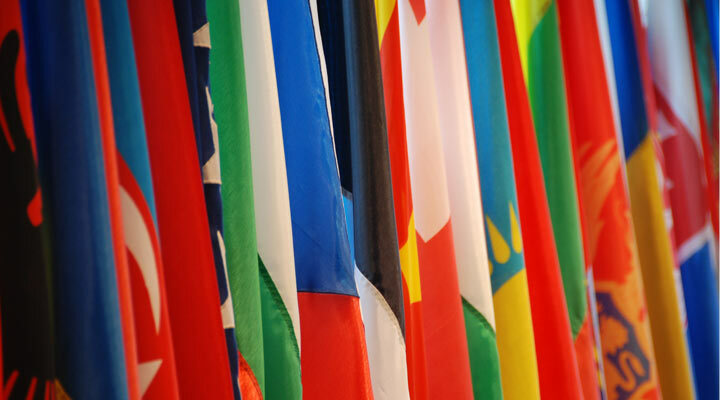 The EBRD has been involved in the development and implementation of the CIFs since 2007. It is currently accessing resources for: Kazakhstan, Turkey and Ukraine under the CIFs’ Clean Technology Fund; for Tajikistan under the Pilot Programme for Climate Resilience; and for Armenia under the Renewable Energy Programme. These funds are mobilising large-scale donor resources and, through the ability to combine different instruments for each project, allow the Bank to develop a targeted and integrated approach to technical cooperation, grants and concessional loans. The EBRD received €96.5 million in 2013. In 2013 the Czech Republic replenished its bilateral TC fund, which includes support to official development assistance (ODA) countries and the southern and eastern Mediterranean (SEMED) region, with €2.5 million. It also approved financing totalling about €1 million for assignments in the municipal and environmental infrastructure (MEI) sector, transport and legal transition in Central Asia and the Western Balkans. It continued to engage with the Western Balkans Investment Framework (WBIF), and also became a new contributor to the Eastern Europe Energy Efficiency and Environment Partnership (E5P) with €200,000 of financing targeting new beneficiary countries (Armenia, Georgia and Moldova). Denmark continued to promote agricultural sector development through its Rural Private Sector Development Programme for Ukraine, which is expected to support the strengthening of grain warehouse receipts systems and pre-harvest financing instruments in the country. The Early Transition Countries (ETC) Fund was launched in 2004 and has been a flagship multi-donor vehicle with 14 contributors: Canada, Finland, Germany, Ireland, Japan, Korea, Luxembourg, the Netherlands, Norway, Spain, Sweden, Switzerland, Taipei China and the United Kingdom. The Fund has been channelling substantial financial support to the ETC region. It has played a critical role in enabling the Bank to support innovation in these low-income countries, for example, by establishing investment councils, introducing stakeholder programmes in MEI projects and advancing gender equality. It has also allowed the Bank to take more risk – for instance, by increasing financing for SMEs under direct financing facilities and advancing local currency lending. Donor support has helped to increase the percentage of EBRD transactions in the ETC region from 8 per cent in 2002-04 to more than 30 per cent in 2009-13. The E5P is a multi-donor fund managed by the EBRD to facilitate investments in energy efficiency and environmental projects aiming at reducing greenhouse gas emissions in the Eastern Partnership countries. The Fund has been successfully operating in Ukraine (supported by €92 million) for three years and is currently expanding to Armenia, Georgia and Moldova. A pledging conference in October 2013 mobilised close to €60 million for the new E5P countries. The E5P donors are: the European Union (the largest contributor with €40 million), Czech Republic, Denmark, Estonia, Finland, Iceland, Latvia, Lithuania, Norway, Poland, Romania, Slovakia, Sweden, Ukraine and the United States. The EBRD Shareholder Special Fund (SSF), established in 2008, is endowed by the resources of the net income of the Bank. It provides vital grant co-financing for the Bank’s operations. Complementing the work of donors, it has enhanced funding in areas of strategic importance, notably in the ETCs and support for sustainable energy, infrastructure and small business financing operations and has also provided non-TC grants in the SEMED region. The SSF has introduced greater predictability, as donor funds are leveraged by co-financing and catalyse further donor contributions. It also fills financing gaps between donor priorities and the Bank’s objectives. Having allocated €150 million to the Fund for the period 2011-13, the Bank approved an additional €65 million for 2014-15. Another €25 million has been made available to support operations in the SEMED countries (€10 million having been allocated to projects in 2013). The EBRD Water Fund, which follows the guidance of the United Nations Economic Commission for Europe (UNECE)/World Health Organization (WHO) Protocol on Water and Health, is a multi-donor fund focusing on water safety, access and supply projects in ODA countries. With the support of four contributors –Finland, Korea, Norway and Sweden– the Fund was established in 2010, initially targeting Central Asia. Since its inception, it has approved 14 projects totalling €5.8 million, including €2 million in June 2013 for five municipal water schemes in the ETCs. With the Fund’s support, the Bank is incorporating the WHO’s Water Safety Plans, a public health benchmark for safe water, into its priority investment programme in 20 cities in Tajikistan. The European Union is the EBRD’s largest single donor, having contributed 37 per cent of donor funding over the last five years in support of Bank activities across the whole region of operations. In 2013 the EU provided support worth €114 million, representing nearly a third of the donor funding provided to the EBRD in that year. Funding is provided through various channels, including the Instrument for Pre-Accession Assistance (IPA) for Turkey and countries in the Western Balkans, the European Neighbourhood Partnership Instrument for countries in eastern Europe, Russia and the southern Mediterranean, and the Development Cooperation Instrument financing projects in Central Asia. Bank projects in EU member states have also benefited from funding provided through the Structural and Cohesion Funds. In recent years EU funding has increasingly been channelled through a number of regional facilities created to blend EU grants with investment financing from European financial institutions. The Neighbourhood Investment Facility (NIF) supports infrastructure projects in the transport, energy, financial, social and environmental sectors by combining EU grant resources with loans from European development financing institutions. NIF funding is particularly focused on the Eastern Partnership (EaP) countries and the southern and eastern Mediterranean (SEMED) region. Since the NIF’s establishment in 2008, the European Union has made €789 million available to the Facility and EU member states have contributed another €78 million. The NIF has to date financed 86 projects worth €753 million through all eligible international financial institutions (IFIs), leveraging a total value of €9.6 billion. Since 2008, it has approved grant funding for 36 EBRD projects, amounting to over €238 million – which includes €15 million shared between the EBRD, European Investment Bank (EIB) and the German development bank KfW – and with a total project value of around €3.6 billion. Projects in the MEI sector have benefited the most from NIF support (€64 million), followed by the financial (€52 million) and transport (€36 million) sectors. The EBRD has received €36.5 million to support SEMED activities. A further €70 million was also approved in 2013 for seven new projects to improve transport services in Moldova, energy efficiency in the Caucasus and SEMED regions, water services in Armenia and Moldova, and to directly support SMEs across the EaP countries. Launched in 2010, the main purpose of the Investment Facility for Central Asia (IFCA) is to promote investments in infrastructure, which have focused initially on energy, environment, SMEs and social infrastructure. The IFCA covers Kazakhstan, Kyrgyz Republic, Tajikistan, Turkmenistan and Uzbekistan. Since 2010 it has contributed over €54 million to EBRD projects, including €21 million in 2013 in support of energy efficiency and MEI projects (notably the establishment of the first EU-compliant landfill scheme in Central Asia). Established in 2009, the Western Balkans Investment Framework (WBIF) provides technical assistance, grant co-financing and other grant-funded instruments to support sustainable growth in the Western Balkans. It pools resources from the European Union, partner financial institutions including the EBRD, and 19 bilateral donors for investment in the transport, energy, environment and social sectors, and in private sector development. Since its inception, 178 grants amounting to approximately €300 million have been approved. The EBRD has received €73 million of grants for the implementation of 43 assignments, about 25 per cent of the overall portfolio. In 2013 eight grants worth €8.89 million were awarded for projects in the energy and transport sectors, including for hydropower, district heating, railway and motorway developments in Bosnia and Herzegovina, Croatia, FYR Macedonia, Kosovo and Montenegro. Regional integration and beneficiary ownership are the guiding principles of the WBIF; 88 per cent of funds have been spent on TC support for investments with a regional impact. Outside of the WBIF’s remit but still within the Western Balkans region, national IPA funds totalling €3.48 million were secured to support SME development in Serbia. Bilaterally, Finland has continued to support district heating projects and energy efficiency policy support and capacity building, predominantly in Kazakhstan and Russia. It also participates in many multi-donor funds, including the ETC Fund, the Northern Dimension Environmental Partnership (NDEP), the E5P, the EBRD Water Fund, the European Western Balkans Joint Fund and the SEMED Multi-Donor Account (SEMED MDA). France provides funding for EBRD operations across a wide range of sectors. It has merged its two bilateral accounts to reduce management costs and offer more flexible funding. In 2013 France supported the development of a mobile banking regulatory framework in Tajikistan and financed project implementation assistance for national railways infrastructure in Croatia and navigation service provision in FYR Macedonia. France also contributes to the SEMED MDA. Germany continued to play an active role in many multi-donor funds. In 2013 it increased its contributions to the NDEP Support Fund by €3 million, the European Western Balkans Joint Fund by €1.44 million and the ETC Fund by €500,000. Germany also participates in the SEMED MDA, in addition to supporting TC projects in the energy efficiency and municipal sectors in Russia and Ukraine through bilateral accounts. The Global Environment Facility (GEF) was established in 1991 to promote environmental and sustainable development and to cover the incremental costs associated with introducing global environmental benefits to local and regional projects. Originally the GEF was one of the few international funds channelling public resources to address climate change. It provides grants for projects in six focal areas: biodiversity, climate change, international waters, land degradation, the ozone layer and persistent organic pollutants. The EBRD, as one of the GEF implementing agencies, has been receiving TC funding and grant co-financing through the GEF since 2004 for international waters and climate change mitigation and adaptation projects. In 2013 the EBRD received €8 million. Greece provides support through its bilateral TC fund with the EBRD, focusing on the development of financial institutions, support for small business and tourism. In 2013 Greece co-chaired the Steering Committee of the Western Balkans Investment Framework. Israel established its second TC fund with the EBRD in 2010. The main areas of project support are water supply and desalination, wastewater treatment and telecommunications. Italy’s long-standing assistance to the EBRD continued in 2013, particularly in support of private sector development in eastern Europe and the Western Balkans. Through its bilateral funds, it has financed advisory services and training in trade facilitation for banks in Belarus and commercial law training for judges in Montenegro. In addition, it has supported the continued growth of the EBRD’s Local Enterprise Facility (LEF) in the SEMED region, Turkey and the Balkans. Through its contribution to the LEF, Italy is also participating in financing investments under the Enterprise Expansion Fund (ENEF) component of the Western Balkans Enterprise Development and Innovation Facility (WBEDIF). ENEF is an equity fund established as part of a new EU- and IFI-led initiative for SME development. Italy has contributed to the SEMED MDA and is the sole contributor to the CEI Fund. Japan remains a strong supporter of EBRD TC activities, providing funding for advisory services, support to SMEs and the SEI. It has approved financing for the launch and implementation of the Renewable Energy Financing Facility in Kazakhstan. In addition, Japan approved financing for a regional framework supporting energy performance assessment in the corporate sector, and funded TC input to the design and implementation of an energy management information system in the rail sector in FYR Macedonia. In 2013 the Kazakh government signed a €6 million agreement for TC funding, principally supporting policy dialogue objectives in Kazakhstan with a primary focus on transport, telecommunications and energy efficiency. The fund has a co-financing arrangement with the EBRD SSF. Korea continues to support Bank activities through its bilateral fund and multi-donor channels such as the EBRD Water Fund and ETC Fund. Strategically, it is closely engaged with the development of SMEs, municipal projects and climate change and environmental initiatives. Korea made additional replenishments in 2013 to its bilateral fund (€2.4 million), the ETC Fund (€800,000) and the Water Fund (€500,000). Luxembourg is a strong supporter of legal transition and policy dialogue programmes. More generally, it contributes to financial sector development, Small Business Support (SBS) projects, gender equality, social inclusion, agribusiness and energy and environmental sustainability. In 2013 Luxembourg replenished its bilateral fund by €1.5 million and continued to support the ETC Fund with an additional €200,000. The Middle East and North Africa (MENA) Transition Fund, set up under the Deauville Partnership, is a broad-based partnership providing grants for TC to help transition countries in the MENA region strengthen their governance as well as social and economic institutions by developing and implementing home-grown and country-owned reforms. The Fund is providing US$ 4.5 million in support of two EBRD-led assignments: a water project in Jordan and an MSME programme in Egypt. In 2013 the Netherlands provided TC funding to help the EBRD in its review of investment opportunities in the SEMED region. It also contributes to the ETC Fund and the SEMED MDA. The NDEP Support Fund was established in July 2002 by the EBRD to pool grant contributions for the improvement of the environment in north-west Russia. Contributors to the Fund are the European Union and 12 countries: Belarus, Belgium, Canada, Denmark, Finland, France, Germany, the Netherlands, Norway, Russian, Sweden and the United Kingdom. The Support Fund currently stands at over €347.2 million. Norway supports many of the Bank’s multi-donor funds. In 2013 it contributed €500,000 to both the EBRD Water Fund and the ETC Fund, €1.3 million to the European Western Balkans Joint Fund, €2 million to the E5P and over €2.2 million to the NDEP (€600,000 non-Nuclear Window and €1.6 million Nuclear Window). As one of the principal contributors to the EBRD Water Fund, Norway facilitated closer Bank-external stakeholder liaison in 2013 over equitable access to water and sanitation projects, in line with UN guidelines and the WHO’s Water Safety Plans. Bilaterally, Norway has continued to support energy, environment and financial sector projects in the Western Balkans. Norway continues to support the economic transition of countries in the SEMED region through the SEMED MDA Fund. Poland became a donor to the EBRD in 2005, providing TC support in the Western Balkans. It contributes to the E5P and in 2013 pledged to raise its total commitment to €1.3 million. In 2013 Portugal’s existing bilateral fund supported MEI and transport projects in the Western Balkans, namely the Belgrade Bus Renewable programme in Serbia (€300,000). Portugal renewed its engagement with the Bank’s mandate and welcomes the EBRD’s work in the SEMED region. In 2013 the Russian government established its first bilateral TC fund, worth €40 million and covering a five-year programme, in support of the Bank’s core operations in the country. Almost 50 per cent of the funding will be earmarked for the development of projects in transport and infrastructure – with the rest split between energy efficiency, agribusiness and SMEs. The southern and eastern Mediterranean Multi-Donor Account (SEMED MDA) was set up in 2012 to support EBRD engagement in Egypt, Jordan, Morocco and Tunisia. The account finances activities in priority sectors identified by the Bank in the region. Its contributors are Australia, Finland, France, Germany, Italy, Netherlands, Norway, Sweden and the United Kingdom. The MDA played a key role in initial operations in the SEMED countries and has retained its position as the “fund of first resort” for TC activities. The contributors have pledged nearly €23 million to the account and thus helped to finance about 40 assignments, ranging from sector assessments to advisory support to MSMEs as well as investment preparation and implementation assistance. In 2011 EBRD shareholders allocated €20 million from the Bank’s net income to enable a quick start of operations in SEMED. Alongside donor funding, these resources have provided vital support for TC activities in the region. In 2013, €7.4 million of the SEMED cooperation funds account was committed. In 2013 the Slovak Republic confirmed a replenishment of €3.5 million to its bilateral fund to support transport, MEI, energy efficiency and public procurement projects. Geographically, the Western Balkans remains a priority both bilaterally as well as in the context of the Western Balkans Investment Framework. Spain strongly supports the SEI and other EBRD activities through its bilateral funds. In 2013 Spain concentrated its financing efforts on MEI, transport and energy efficiency (particularly in Kazakhstan and Turkey), providing TC funding totalling €710,000. The Special Climate Change Fund (SCCF) is a dedicated trust fund for investments in climate change adaptation, covering water efficiency, water management audits, climate-smart agriculture and weather-based insurance. In 2013 the EBRD became an implementing agency of this Fund, and has received a total of US$ 10 million in grants to support water efficiency projects in the Kyrgyz Republic and Tajikistan and new climate adaptation technology transfer. Sweden remains one of the largest bilateral donors. Its key priorities are MEI development, especially wastewater treatment, solid waste management, energy efficiency and district heating. Sweden emphasises reduced emissions, sustainable use of natural resources, institutional reform, sustainability of services, transition and social inclusion. Regionally, its bilateral funding focuses on Belarus, Georgia, Moldova, north-west Russia and Ukraine as well as Western Balkans, and it also remains an important supporter of multi-donor funds such as the E5P, the ETC Fund, the NDEP and the SEMED MDA. In 2013 Sweden provided a total of €9.5 million to a mix of multilateral and bilateral funds and both for technical assistance and investment grant support. The Swiss State Secretariat for Economic Affairs (SECO) is one of the EBRD’s major donors for technical assistance and investment grant co-financing. SECO’s sectoral priorities include water infrastructure, support to the private sector and entrepreneurship, local capital markets and local currency development and stimulating climate-friendly growth. Priority regions for Swiss economic assistance are Central Asia and the Western Balkans. Switzerland contributes to the ETC Fund and the ETC Local Currency Risk Sharing Special Fund which supports the EBRD’s Local Currency Initiative. The SECO has also made available grants for risk-sharing support in the Bank’s SME lending programmes in Central Asia. In 2013 it provided investment grants for water infrastructure development projects in Kant (in the Kyrgyz Republic) and in Khujand and other northern cities of Tajikistan totalling approximately €20 million. The SECO has also contributed directly to the joint EBRD-KfW Municipal Infrastructure Development Facility for the Western Balkans with a €5 million first loss share subscription. The EBRD and SECO are establishing a framework agreement to further strengthen collaboration in areas of mutual interest. As a long-standing EBRD donor the Taiwanese government provides TC assistance as well as investment co-financing resources. In 2013 it replenished the bilateral TaiwanBusiness-EBRD Technical Cooperation Fund with US$ 1.5 million and the ETC Fund (to which the government was a founding contributor) with US$ 500,000. The former Fund also supports the Bank’s Trade Facilitation Programme. The Taiwanese government is helping the Bank’s TC projects in sustainable resource management, intelligent transportation systems, the information technology-related knowledge economy, the corporate sector through funding for the Small Business Support programme and the Women in Business initiatives. TaiwanICDF (International Cooperation and Development Fund) is cooperating with the Bank in green energy investments and lending to micro, small and medium-sized enterprises (MSMEs) through investment co-financing and concessional financing resources. In 2013 Turkey signed a contribution agreement to launch an EBRD Women in Business programme in the country. Co-financed by the European Union, the programme will support women-owned and managed MSMEs through improved access to finance and advisory services. The EU has committed €32.3 million and Turkey is contributing a further €5.7 million. The United Kingdom remains closely engaged with the Bank’s activities, especially as one of the donors to the SEMED MDA. It has also provided valuable support to the Bank’s work in ETCs, such as the Kyrgyz Republic and Tajikistan, and supported climate change mitigation and adaptation activities through the Sustainable Energy Initiative. The United States is supporting the EBRD’s efforts to enhance SME competitiveness in Central Asia, with a particular focus on businesses owned by women for which funding is provided through the US Treasury’s bilateral fund with the Bank. In 2013 the United States also supported the EBRD’s Local Currency and Local Capital Markets Initiative.